When in March 2017, a man called Ibrahim Suleiman, using a phantom organisation called the Arewa Foundation in Jeddah, filed a petition with the Federal House of Representatives, I wrote a piece detailing the House hearing, to which I was invited, and how the proceedings exposed the mischief behind the fictitious petition. The gist of the petition was that the Chairman of National Hajj Commission of Nigeria (NAHCON) was engaged in fraudulent activities and had a Saudi airline, Fly Nas fronting for him in Nigeria and a Saudi-based Nigerien company, Shuraka Al Khair, fronting for him in Saudi Arabia. One after the other, each of the claims in the petition were knocked off, as NAHCON was able to explain itself to the satisfaction of the House ad-hoc committee which sat to investigate the truth or otherwise of the claims. That experience showed the extent to which people were ready to go just to defame others for doing their job. Indeed, corruption fights back when you attack it. The sponsor of that petition swore that he would not relent. He proceeded to the Senate with the same set of fraudulent claims and he found a Senator willing to sponsor the same petition for him. That Senator was Senator Ibrahim Abdullahi Danbaba from Sokoto South Senatorial District. After he raised the issue under Point of Orders 42 and 52 of the Senate Standing Rules on a matter of urgent national importance, the Senate President referred the matter to the Senate Committee on Foreign Affairs. This time, it was the issue of the Hajj fares that were announced that year as well as the allegation of forcing the pilgrims to eat food from a catering company. The senator claimed the fares were outrageous and inflated and that the feeding of the pilgrims should be at each pilgrim’s discretion. The Committee instituted a public hearing to which all stakeholders in the Hajj and Umrah industry were invited. I was a witness to that hearing, which was chaired by Senator Monsurat Sunmonu. At the end of the presentation from the Ministry of Foreign Affairs, NCAA, Airline operators, Hajj and Umrah Tour operators and other stakeholders like the State Pilgrims Welfare Boards (SPWBs), the Committee all agreed that the main reason for the increase in the Hajj fares was the increase in the exchange rates, from 197 in 2016 to 305 in 2017. The Committee resolved to reach out to the executive arm of government to look into ways to reduce the exchange rate of the dollar. Hajj services are mainly paid for in US dollars because most of the services are rendered overseas. The main naira component of the Hajj fare is the airfare. It became clear that many of the Senators did not understand the difference between a scheduled flight and a chartered flight. They also did not understand that certain aspects of the Hajj services are statutorily in the hands of Saudi companies only. Feeding is made compulsory not by NAHCON but by the Saudi Hajj Ministry. It is mandated upon all Hajj Missions from all countries that they provide feeding for their pilgrims. The same Hajj Ministry then provides a list of catering companies and requires your country’s Hajj Mission (NAHCON in this case) to pick from these. NAHCON would then ask each SPWB to determine which caterer they were comfortable with. The states then choose the caterer they want and this is ratified by NAHCON and passed on to the relevant authorities. After the Senate Committee on Foreign Affairs laid to rest the issue of Hajj fares in 2017, the same Senator Ibrahim Abdullahi Danbaba sponsored another motion requesting the Senate to probe what he described as the extortion of pilgrims by NAHCON. This led to the Senate President constituting an ad-hoc committee to look at “Accommodation, Logistics, Feeding, Onshore and Offshore of Nigerian Pilgrims”. Senator Adamu Aliero from Kebbi State chaired this committee. The committee then invited stakeholders to a public hearing on the issues. I was at the hearings on Wednesday 17th and Thursday, January 18th, 2018 at the Senate Hearing Room 1, White House, National Assembly Complex, Abuja. In fairness to the committee members, on both Hearing days, most of them raised cogent points and seemed genuinely interested in knowing the truth without any bias. However, when their report was submitted to the Senate, it was apparent that someone had done a really shoddy job of harmonising all presentations at the hearings and it smacked of vendetta and deliberate mudslinging. How else do you explain a committee that mentions only the allegations against an accused but ignored the responses of the accused, at least, for others to consider and make their own independent conclusions? We have a teleguided report which seems to be designed with the goal of steering the reader to a predetermined conclusion. Could the allegations that a certain aggrieved Senator, who also owns Hajj and Umrah company, which could not secure undeserved special treatment from NAHCON, was the author of such a flawed document be true? Allah knows I have never sought to get more than my company’s due from him and right from the time he was the Commissioner of Operations of NAHCON, we had often had clashes on our differences of opinion on issues pertaining to Hajj and its operations. What cannot be said honestly about him, and indeed many of his colleagues in the Commission, is that he does not have the interest of the pilgrims at heart. Allah's Messenger (PBUH) said, "Help your brother, whether he is an oppressor or he is an oppressed one. People asked, "O Allah's Messenger (PBUH)! It is all right to help him if he is oppressed, but how should we help him if he is an oppressor?" The Prophet (PBUH) said, "By preventing him from oppressing others." Saheehul Bukhari, hadeeth number 2444. NAHCON should not be allowed to oppress Nigerian pilgrims through avoidable leakages and inefficient handling of the affairs of Hajj but the Senate should also not be allowed to oppress the officials of NAHCON by fighting proxy wars against it bereft of fairness and diligence. Indeed, the impartiality required to do a good job was lacking. I shall come to that later. A. 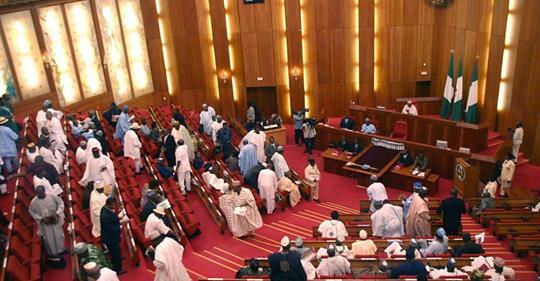 The Senate ad-Hoc Committee Report accused NAHCON of a flagrant breach of the 1999 Constitution (as amended), the Public Procurement Act, 2007 and the Federal Government’s Financial Rules and Regulations. This, the report claimed, was because the Commission had no procurement unit with trained procurement officers to handle Hajj procurements, no procurement planning committee, no procurement plan and no evidence of bid solicitation, thus contravening SGF Circular Ref: SGF50/S.52/II/468 of January 2014 and non-usage of Standard Bidding Documents/Standard Request for Proposals. Other wild charges include usurping the role of the Foreign Affairs Minister by handling matters that are of an international nature and converting the Nigerian Consul General in Jeddah to an employee of the Commission. If you take these allegations alone on their face value, they suffice to conclude that NAHCON has been engaged in shady transactions. However, these claims will unravel as just mere mischief when I dwell on each allegation later. B. NAHCON introduced “over bloated” (whatever that means) onshore and offshore charges on intending pilgrims without recourse to the function of the Utilities Charges Act, 1992. The charges that were alleged to be inflated include: Administrative fee, Hajj development levy, yellow card (immunisation card), registration forms, tent security deposit, tent cooling facilities, payment for bedding facilities in Minaa and Arafah, deposit paid to the Saudi Hajj Ministry, 1% CBN charge on forex, airline licensing fees, hand luggage screening fees, Zam Zam water fees, and administrative charges of $65 per pilgrim. Anyone conversant with Hajj operations and its intricacies would be amused by this allegation as many of the items on the list are statutory, according to the Saudi Hajj Ministry. More on that later. C. NAHCON has been ‘hiding’ under section 11 (1) (a) of NAHCON Act 2006 to ‘extort’ intending pilgrims, air carriers and service providers. The report also alleged that the funds generated by NAHCON are not paid into the Consolidated Revenue Fund of the government. D. The report also alleges that the Commission also expends funds without following the provisions of the relevant laws. It specifically mentioned that NAHCON goes on “spending sprees” spending sums “quite beyond the approval limit of the accounting officer (read the Chairman of NAHCON)”. The renting of the Commission’s Makkah office at the cost of SAR 600,000 was cited as an example. It also accused the Commission of having superpowers to mysteriously mislead the office of the SGF, the Bureau of Public Procurement (BPP), the Federal Executive Council (FEC) and the President that it could purchase Metro Plaza, Abuja as its headquarters with the funds it generated. This must be quite an extraordinary feat! It took this great Ad-hoc Committee to ‘expose’ this. You will see just how true is the claim later. For lack of space, I will mention the main gist of the other allegations next week, inshaa Allah and then show you what they omitted to tell Nigerians.